Most SEO & digital marketing agencies promise results but provide little transparency and no guarantee that their services will deliver. Well, we don’t make empty promises. We are a performance focused Boston SEO agency with proven results. Maybe you have tried to optimize your website in-house or wasted hundreds or thousands of dollars on a bad SEO company; potentially spending time & money on SEO services with minimal results and little return on your marketing investment. Well, look no further. Our professional Search Engine Optimization program will help you get found online, results guaranteed. A successful SEO program should be tied to measurable results and KPI’s such as % increased traffic, # of leads generated, and the overall return on investment (ROI). I don’t know what you’ve heard, but professional search engine optimization is about much more than building links or creating content filled with keywords. Good SEO is about strategy; one that will yield measurable results. Before visitors are actively searching for a product to buy or vendor to hire, they are looking for a solution. A simple answer to a question. And they ask the smartest person they know. Google. If you can build enough credibility to be listed high in the search results, you are much more likely to get the visit. Google is constantly evolving, and those that continue to try and trick the system are losing the battle. With our SEO strategy, we don’t just play by the rules, we embrace them. This is the only way to provide the long term results that real businesses require. Our unique process is both transparent and collaborative. Every SEO engagement begins with an initial consultation with a digital marketing specialist in order to better understand the business, your online marketing goals, and discuss the efforts that have already taken place. Our consultative process allows us to evaluate the overall online presence and to set an initial strategy to meet your online goals. We will evaluate your online presence, the history of your website, and your online competition, then develop a detailed strategy outlining the specific steps we will take when optimizing your website. Our data backed strategies are perfectly aligned with y our goals & budget. 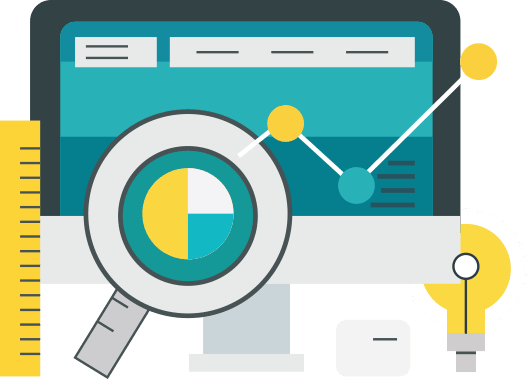 We scan your website to collect data on every aspect of onsite SEO to identify assets, and determine areas that need improvement. The audit presents detailed information such as analysis on URL’s, meta tags, content length, linking, canonical issues, etc. We are experts at combining technical SEO with great copywriting, bringing you more clicks and all the benefits that an increased CTR brings. We write to pique interest and incite clicks, making our services particularly valuable for b2b & eCommerce websites. We scan major social media sites to quantify social activity for your website to determine how well integrated social is into your web & content marketing strategy as well as uncover popular content and areas of interest to boost readership and virality..
We use the inbound link audit for your website and perform competitive benchmarking by auditing the link profile for your top 5 competitors in organic search. An appropriate link building strategy is then designed in order to rank highly while remaining safe from Google penalties. Online press releases are a great way to make announcements on company developments, accomplishments, and other events. They not only generate awareness which can lead to additional PR opportunities, but they also create branded links which can be great for traffic and SEO. What can you expect from a full service SEO program from Gold Promotion? We pride ourselves on providing performance based SEO services whenever possible. During your consultation we will discuss and evaluate your unique requirements and design a campaign that is tailored to your business and backed by data-backed results. We understand that every business is different. Competition varies from search to search. Strategies can make sense in one market, but don’t work in the next. We work closely with each of our clients in order to fully understand their needs and provide a truly custom SEO strategy. You will receive detailed monthly SEO reports that are both data-packed and easy to understand. We focus on uncovering opportunities and measuring essential key performance indicators (KPI’s) to simplify reporting on campaign performance thereby proving our success. Our SEO strategies and processes are enable by best of breed SEO tools that provide things like data, research, project management, analytics, and reporting. Some of the tools used in our client campaigns include Google Analytics, Google Keyword Planner, Moz, SEMRush, Majestic, among others. Ranking Strategies The fast paced and ever changing environment that Google has created for search has made data-backed research and testing more important to SEO success. We stay on the forefront of SEO with extensive testing to rank in Google both quickly and safely. Each one of our clients works directly with a dedicated SEO specialist to plan and execute both onsite and offsite SEO work throughout the campaign. Full-service SEO clients will also work with Gold Promotion Founder & President, Ryan Schulz. We closely follow both the Google Webmaster Guidelines and the Bing Webmaster Guidelines and ensure that only safe and effective practices are used when ranking your website. We focus on excellent onsite SEO, great content, and quality link building. SEO is not a mystery, nor does it need to be secretive. When you work with Gold Promotion, you will be gaining more than a Boston SEO agency; you will be getting a partner that you can trust. DO YOU NEED A PROFESSIONAL SEO AGENCY?